In the Onboarding Application you can create Templates to make it easier for the new manager or hiring team to onboard a new employee. To create a new template you click on the big + sign under my templates. You write the name of the template an click Save to start editing your new template. The new template is blank with the name you gave it. Now you have to write the Introduction or use the sample message and click save. 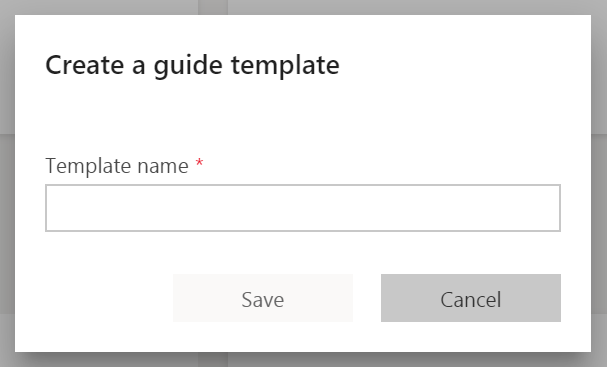 If you have created a new welcome guide for a new employee and you want to save that as a new template, you can click the save as template and create the existing guide as a template. Remember to save, as the autosave isn’t planned for general availability until March 4, 2019!